Newsholme Engineering are one of the UK’s leading specialists in the field of water engineering for large area agricultural and sports field irrigation, industrial dust suppression and “off the mains” domestic, commercial, and livestock water supply for remote rural areas. Our wide experience allows us to supply, install and service the most cost effective solution to meet your specific needs. 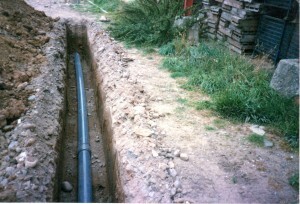 We offer advice, design, supply, installation and service of diesel, electric and tractor PTO driven pumping systems from reservoirs, rivers, boreholes and tanks; underground distribution mains; overground pipes and fittings, and application equipment including sprinklers, hose reel irrigators, rainguns and booms. Our service orientated business has been built on over 30 years experience of working with some of Europe’s leading suppliers and manufacturers of water distribution and irrigation equipment. Please Contact us if you would like further information or Service. The Ferbo Rain range is brought to the UK market by Newsholme Engineering Ltd in collaboration with Ferbo S.r.l. who pioneered the manufacture of turbine driven hose-reel irrigation machines in the 1970’s and now produce highly efficient and economic machines with hose sizes ranging from 40mm to 160mm in diameter and up to 750 metres in length. As they are built on the same platform as the more recent Wright Rain Rainmaker and Idrofoglia hose reels, spare parts are common across the marquees. Replacement Nelson “Big Guns”, fitted as standard to older models of hose reel irrigator, are available as new, we also stock spare parts for refurbishment and repair. Hose reel mounted spray booms are available for more precise irrigation of more delicate crops and soil types where required. Newsholme Engineering specialise in the supply, installation and service of electric pumping systems from reservoirs, rivers and boreholes. We offer a turnkey package from design through to commissioning, including workshop and on-site fabrication of pipework and fittings. 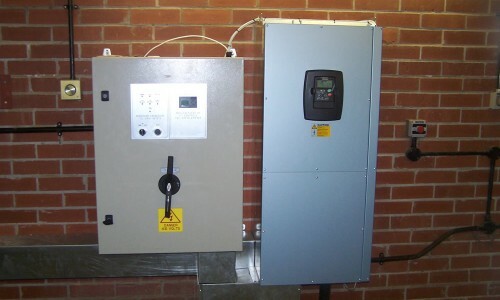 Borehole pumping systems typically range from less than 1kW to over 90kW although bigger models are available as required. Drilling the correct size and depth of borehole is critical to maximise the likelihood of obtaining the required water yield and depends on the local hydrogeology. Independent advice is available to assist with borehole design and meeting the regulatory requirements of the Environment Agency. Horizontal and vertical multistage pumping systems are available, with submersible pumps if necessary, for water abstraction from reservoirs and rivers. 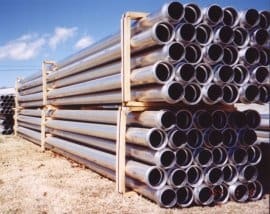 Portable overground pipes and fittings of all sizes are available in aluminium and galvanised steel, with couplers to suit Wright Rain, Javelin, Irrifrance, Bauer, Perrot and other types. Non standard fittings are also produced to our customers specific requirements in our own workshop. 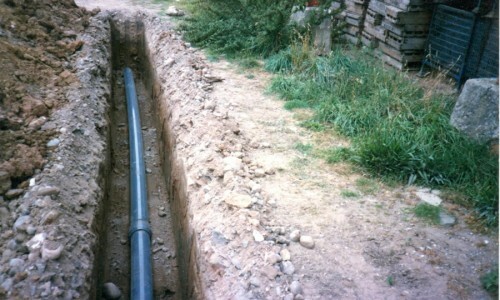 We undertake initial site surveys, design, supply, installation and commissioning of new underground distibution mains and extensions to existing systems in PVC and PE pipe, including fabricated steel hydrant risers, road, river and bridge crossings. Materials and advice are also available to customers wishing to self install. Steel hydrant risers are fabricated to suit individual requirements with 3”, 4” or 5” Wright Rain or Javelin/Irrifrance type hydrant tops. Quick compression couplers are used to connect older imperial or metric PVC pipe to steel, which are tightened up with bolts on the top of the coupler rather than on the ends as on traditional VJ couplers. This makes fitting, and removal, quicker and easier. The speed of a diesel engine pump unit can also be controlled automatically to provide a constant delivery pressure as the demand for flow varies. Traditionally this has been achieved using an F W Murphy diagnostic control panel, high/low pressure switchgauge and a throttle control actuator.